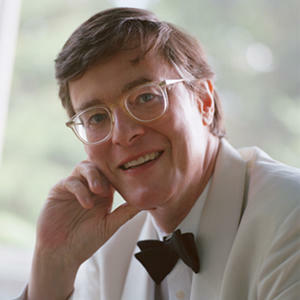 Biography 2018-2019 | Peter Serkin | Kirshbaum Associates Inc.
Mr. Serkin begins the 2018-2019 season with programs that reflect the dimension of his multifaceted career, in recital, chamber music, and orchestral soloist: a concert of late keyboard works by Mozart paired with Waldszenen by Schumann character pieces at Ravinia, Brahms’s Piano Quintet with the Dover String Quartet at the Modlin Center for the Arts in Richmond, and Bartók’s Piano Concerto No. 3 with the Vermont Symphony Orchestra, led by Jaime Laredo. Bach’s Goldberg Variations are the centerpiece of recitals in Bethlehem, PA, Green Music Center in Sonoma County, Greenwich, CT, Northampton, MA, Philadelphia Chamber Music Society, and, abroad, at the Aix-en-Provence Easter Festival. In New York, he appears in solo recital at the 92nd Street Y and at Town Hall. Orchestral engagements include performances of Bach’s Keyboard Concerto in D minor, BWV 1052, with the Espressivo Orchestra in Santa Cruz, CA, and Stravinsky’s Concerto for Piano and Winds with the Cincinnati Symphony Orchestra and the Rogue Valley Symphony in Ashland, OR. Serkin’s chamber music performances with the Dover String Quartet include appearances in Palm Beach and Florida’s Sanibel Island. Recent concert highlights include a tour of Japan and solo recitals in Atlanta, Ashland, OR, Fresno and Santa Barbara, CA, Ridgewood, NJ, and St. Paul, MN. In New York’s Carnegie Hall, he performed Bartók’s Concerto for Two Pianos, Percussion, and Orchestra with pianist Anna Polonsky and Orchestra Now, led by Leon Botstein. Other orchestral appearances included the Delaware Symphony and Duluth Superior Symphony Orchestra. Recent seasons have included orchestral appearances with the Chicago Symphony, and the Boston, Saint Louis, American, Sydney symphony orchestras, New York Philharmonic, and the Scottish Chamber Orchestra. Mr. Serkin has appeared at leading summer festivals, among them, Ravinia, Tanglewood, La Jolla, Chautauqua, Music Mountain, Bellingham, and, in London, the BBC Proms. Serkin has been Artist-in-Residence at the Santa Fe Chamber Music Festival, and in June 2016 traveled to Havana, Cuba with the Bard Conservatory Orchestra. An eloquent and persuasive advocate for the music of the 20th and 21st centuries, Peter Serkin has championed the work of Schoenberg, Webern, Berg, Stravinsky, Stefan Wolpe, Messiaen, and has given world premieres of works by Luciano Berio, Hans Werner Henze, Alexander Goehr, Leon Kirchner, Oliver Knussen, and Charles Wuorinen. He gave the world premiere performances of Lieberson’s three piano concertos, Takemitsu’s riverrun with the Los Angeles Philharmonic, and Wuorinen’s Piano Concerto No. 4 with the Boston Symphony Orchestra. His extensive discography ranges from a recording featuring six Mozart piano concertos, awarded the Deutsche Schallplattenpreis and acclaimed by Stereo Review as Best Recording of the Year, to the complete keyboard works of Schoenberg. "Serkin's playing was breathtaking in its limpidity; the instrumental textures were wonderfully nuanced, and the balance well nigh perfect." AUGUST 2018 - PLEASE DESTROY ALL PREVIOUSLY DATED MATERIALS.